Thomas Jane is "The Punisher"
Thomas Jane is "The Punisher!" 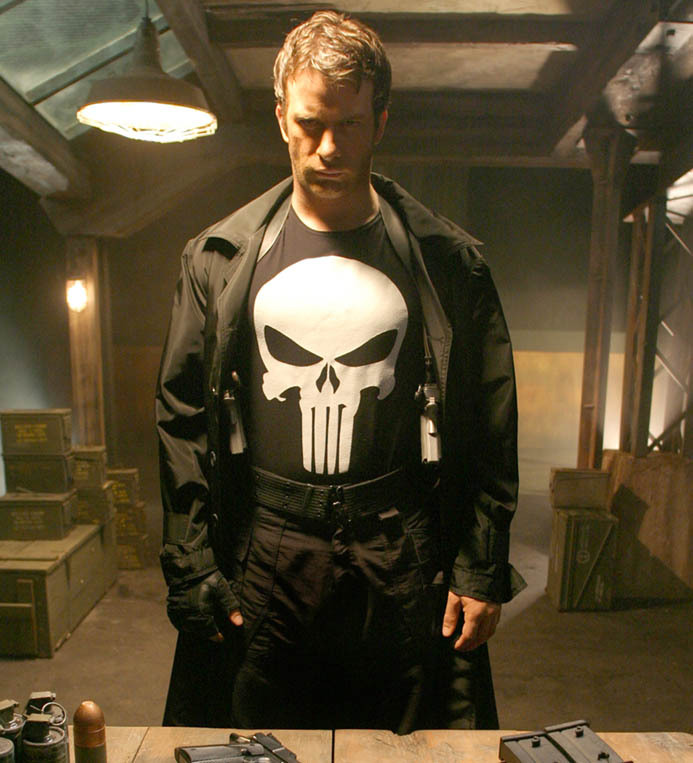 Artisan Pictures and Marvel Studios announced today that Thomas Jane has been cast in the title role of "The Punisher," the feature film production of Marvel Comics' immensely popular comic book series of the same name. The film is being produced by Marvel Studios' CEO Avi Arad ("Spider-Man," "X-Men," "Daredevil," "The Hulk") and producer Gale Anne Hurd ("The Hulk," "Aliens," "The Terminator") with renowned screenwriter Jonathan Hensleigh writing and directing. With the project's other major roles currently being cast, "The Punisher" will commence principal photography in early July 2003 and the event film will arrive in theatres during the summer of 2004. Artisan Pictures President of Production, Richard Saperstein and Marvel's Arad made the announcement. "The Punisher" rises out of the ongoing Artisan and Marvel joint venture designed to develop, produce and distribute Marvel character based programming across all media with profits generated from each project shared equally after distribution fees are incurred. In addition to "The Punisher," the two entities are in active development on the big screen adaptation of the venerable character, "Iron Fist." "The Punisher" tells the story of FBI undercover agent, Frank Castle, who until now has beat considerable odds. A former Special Forces operative, he is finally moving out of the field and into a desk job -- and a normal life with his wife and son. Then Castle's world is shaken to its core by a nightmare he has longed feared: his family is executed as a repercussion from his final undercover assignment. With unparalleled intensity, ferocious intelligence and fearless actions, Castle seeks to punish the murderers -- and finds the one thing he least expected: redemption. 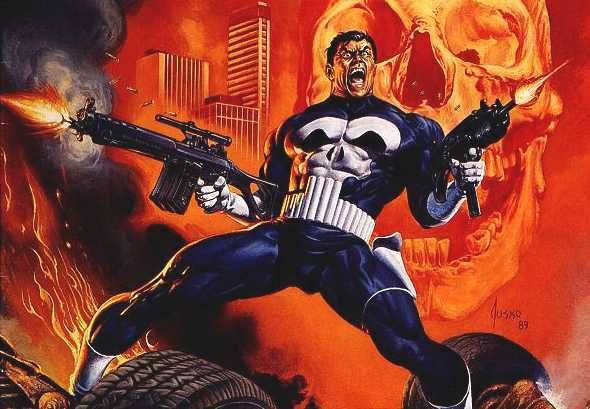 Marvel Comics' "The Punisher" made his first appearance over 25 years ago as a supporting character. The hero proved so popular with readers that he could not be contained in a peripheral role and by the 1990's he was starring in as many as three titles a month. 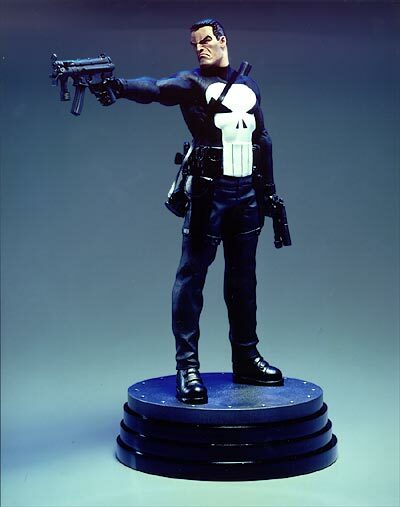 In 2000, "The Punisher" reemerged as one of Marvel Comics' highest selling solo books and remains a top seller for the Company. Commented Marvel Studios' Arad, "Although Frank Castle is a tough-as-nails vigilante, he is, at his very core, an extremely tortured soul, a victim of survivor's guilt. Thomas Jane, being a character actor, is going to have all the dimension necessary to bring to life the depth of a character who is both the hero and the victim with the physicality of a Super Hero®. By signing Thomas, we follow the Marvel tradition of bringing art-house actors in to tackle our complex characters. We are very excited to have him as part of our family." Added Artisan's Saperstein, "Thomas is a very talented and focused actor who possesses both the physical and dramatic qualities we were hoping to find in our Punisher. He brings with him an intensity and strength that we believe will help to define the character and energize the film." Noted producer Gale Anne Hurd, "Thomas is one of our finest actors and comes from the indie world, as have other actors who've assumed Super Hero roles so successfully such as Tobey Maguire ('Spider-Man') and Eric Bana ('The Hulk'). We are thrilled that an actor of this caliber will be our Punisher." Thomas Jane is a versatile actor with a wide range of strong performances to his credit. Jane can next be seen in the upcoming Warner Bros.' film, Dreamcatcher, starring alongside Morgan Freeman and in the title role of Stander for director Bronwen Hughes. Jane starred opposite Cameron Diaz in Columbia Pictures' "The Sweetest Thing." Prior to that, Jane starred as legendary baseball player Mickey Mantle in HBO's acclaimed film "61*." Additional credits for Jane include roles in Lions Gate's "Under Suspicion," Warner Brothers' "Deep Blue Sea," 20th Century Fox's "The Thin Red Line" and New Line's "Boogie Nights." "The Punisher's" writer and director Jonathan Hensleigh has written some of the genre's most notable action films including "The Rock," "Armageddon," "Jumanji" and "Die Hard: With a Vengeance." Hensleigh also executive produced "Armageddon" as well as "Gone in Sixty Seconds" and "Con Air." Gale Anne Hurd, whose next project is the epic Super Hero tent pole release from Universal, "The Hulk," directed by Ang Lee, has produced such box office hits as "Armageddon," "Terminator," "Aliens," "The Abyss," "Terminator 2: Judgment Day," "The Ghost and the Darkness," "The Relic" and "Dante's Peak." Artisan Entertainment CEO, Amir J. Malin and Avi Arad, CEO of Marvel Studios originally negotiated the overall joint venture between Artisan and Marvel. 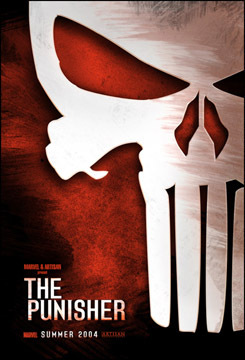 Artisan Entertainment Executive Vice President, Patrick Gunn, who oversees all Marvel projects at Artisan, and Artisan Pictures Director of Development, Rachel Murray are shepherding "The Punisher" at the studio. Marvel Studios' Executive Vice President, Kevin Feige will oversee "The Punisher" on behalf of the Company, Vice President of Production, Ari Arad will co-produce. Artisan's Legal & Business Affairs department handled negotiations on behalf of the studio. Jane is represented by ICM, manager Julie Yorn of the Firm and attorney Brian Wolf of Ziffren, Brittenham, Branca and Fischer.